Financing the work of God that we do together as Southern Baptists should never be minimized. The 51,000 plus churches and congregations that comprise the Southern Baptist Convention choose voluntarily to fund the work of Southern Baptists. Amounts and percentages are not mandated or demanded, but determined within each local church, as it should be. Last week, when I read Dr. Jason K. Allen’s article entitled Celebrating and Strengthening the Cooperative Program, it was a tremendous reminder of many things. I commend Dr. Allen’s honest and transparent approach. As an employee of one of our Southern Baptist seminaries, he did not speak the company line, but promoted the heart of the Cooperative Program by furthering the centrality of the local church and each church’s voluntary support of our work together. When churches lose their centrality in Baptist life at any level – association, state, or national convention, it is then that the support of the Cooperative Program stands to lose the most. An association, state convention and the entities of the Southern Baptist Convention must operate with the highest integrity and with the deepest of passion to serve the needs of the churches in carrying out their mission to reach their region, state, nation, and world for Christ. When this happens, churches will joyfully give both voluntarily and sacrificially. I have championed the Cooperative Program for many years, but especially since I chaired the Great Commission Resurgence task force in 2009-2010, and during my recent service as President of the Southern Baptist Convention. For those who were engaged with us over those two years, you know I believe in the Cooperative Program and spent much of my time and effort toward this grand effort. These words represent my heart and what I have both believed and trumpeted for years. Giving the resources God has entrusted to each church is a privilege and a responsibility. Receiving and expending these resources entrusted to denominational entities, conventions, and associations is equally a privilege and responsibility. This is not our money, our church’s money, or our convention’s money; it is all God’s money. This is not our money, our church’s money, or our convention’s money; it is all God’s money. The conservative resurgence began when I was in seminary. During the early years as a local church pastor, only a few of the conservative resurgence leaders were champions of the Cooperative Program. Therefore, many of us grew up with a limited to non-existent mentorship in the Cooperative Program. This was unfortunate and not to the benefit of our work together. Yet, in everything there is a season. Over the last two to three years, we have seen the Cooperative Program turn toward growth and a future when most said it was impossible. It is the church that is anointed to take the gospel to the world, not a denomination. But also in this present reality, we are reminded of the central place of our churches in denominational life and the services extended to the churches from our denomination. It is the church that is anointed to take the gospel to the world, not a denomination. Therefore, as churches, whenever it is possible, we must cooperate with one another. To our denominational bodies of service, listen to the churches, help the churches, and represent the churches. Relating to the future, I cannot determine what other churches do. Whatever a church’s decision, I will pray for and encourage them. I also cannot determine what a denominational entity does or does not do. What I can do is work with my church to determine what we will do in the future. Prayerfully, we will always be given more reasons to give, rather than reasons to make us question why we should continue to give. Additionally, I am deeply committed as long it is possible for us, to mentor other churches and pastors in a growing commitment to take the gospel to the world through our financial support through the Cooperative Program. Future Baptists will determine the future of the Cooperative Program. 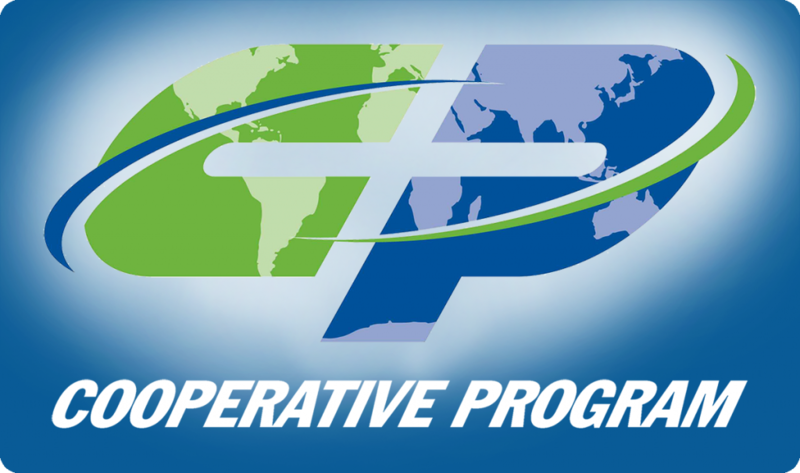 Future Baptists will determine the future of the Cooperative Program. Pastors in their twenties, thirties, and forties will determine what the next generation will do in funding the work of God as Southern Baptists. Pastors, what are you doing now? My only charge to you is this: Your influence will never be greater than the life you and your church live together in modeling a strong commitment through the Cooperative Program. Not only in Cooperative Program giving, but also in modeling to others evangelizing the lost, reaching your community for Christ, planting gospel churches in North America, and mobilizing people to reach the nations for Jesus Christ. Dr. Ronnie Floyd is the Senior Pastor of Cross Church, founder of the Cross Church School of Ministry, and host of the Ronnie Floyd on Life and Leadership Today podcast.